My mother has been hassling me about taking probiotics for a while now, but I could never tell if the pills she's been sending me are vegan or not so I haven't taken them. I know in theory that probiotics are good for your digestive health, but I've never really put that to the test. 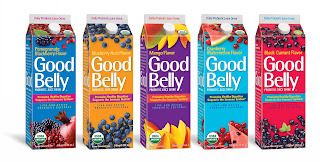 Lately, I've noticed this drink called, "GoodBelly," showing up in all the grocery stores I frequent so I went online to check them out. On their website, they have this cute video showing how these little probiotic guys support core digestive health and improve the immune system. If you haven't seen this video, you have to watch it. It is so cute! And, they say they are "so not yogurt!" I love it! They promote the fact that this drink is 100% vegan so now we can have the beneficial bacteria too! So, I've decided to sign up for the 12-day challenge online. The company guarantees that GoodBelly will put a smile on your face after just 12 days or it's free! You can't beat that. So, today is the first day of my 12-day challenge. 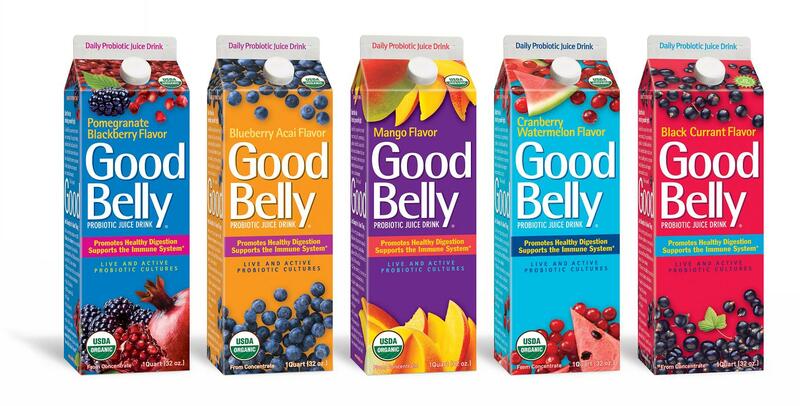 I invite you to follow me as I drink eight ounces of GoodBelly each day for 12 days. Welcome to Day 1. Today, I am going to try the mango flavor of GoodBelly. I was thinking it would look something like Naked mango juice, but not so. It is much lighter in color and different in flavor. It is not a smoothie - more like a light mango juice so it tastes pretty good. Check in with me in a few days to see how my challenge is going!